What is hot in events is constantly evolving and as professionals, we have a responsibility to not just stay on top, but also ahead of the trends. Learning how to anticipate what’s next keeps us current and inspired, and can also help us avoid boredom, burnout, and letting products or services become outdated. Of course, there will always be a seasonal and cyclical element to trends. Different colors and fabrics are more and less popular depending on the time of year. Events like Fashion Week determine the major movements in style. Various organizations put out reports to which you can subscribe to be sure you’re in the loop. Clients will also provide their own clues that it’s time to shake things up. If they aren’t paying for or requesting a certain trend anymore, they’re sick of seeing it. Don’t push the same old items just because they’re already in your inventory. Listen to your market and make the necessary upgrades to meet current needs. Staying on top of trends isn’t going to help build your business if your marketing images are outdated. Ensure your photos are diverse and don’t all show the same look. Switch it up and retire anything that makes your company seem dated or out of touch. Social media is today’s go-to incubator for new ideas. Get active! Follow people who inspire you, including those outside of your specialty. Instagram is currently king, but you can still find many great ideas on Pinterest. 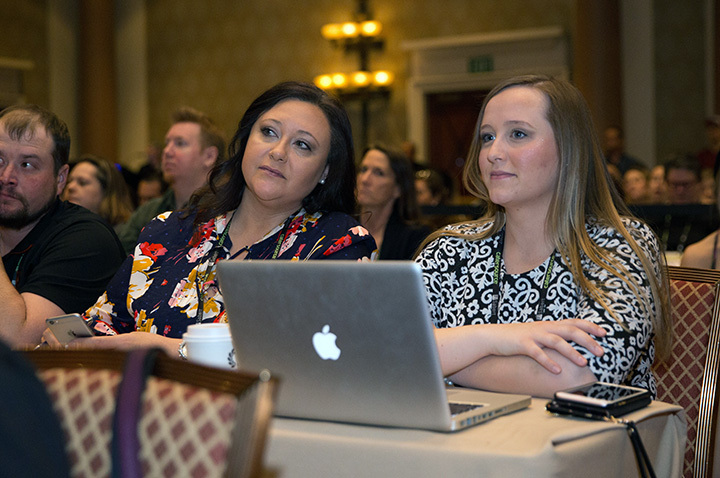 Attend industry conferences to see what colleagues are doing to push the envelope. Take classes in the latest techniques and forge relationships with creative partners who you can look to for direction and advice about the next big things. Keep an eye on fashion, movies, TV, interior design catalogs, and websites. Seek inspiration while traveling. Go to theme parks, museums, art galleries, marketplaces, and even department stores in cities around the world. You’ll get exposure to many different interpretations of the most in-demand styles. Take lots of photos of what you find and bring them home to apply the ideas on a smaller scale. The best way to avoid repetition and falling out of date is to hone your observation skills and learn to combine what is hot with what is special about your clients. Personalization will always keep things fresh, because it is unique, authentic, and meaningful. Make a point of honing these skills and soon you’ll be the go-to trend expert for clients and colleagues alike. Find the next big trend at Catersource 2019. Click here for the latest information—registration is now open!